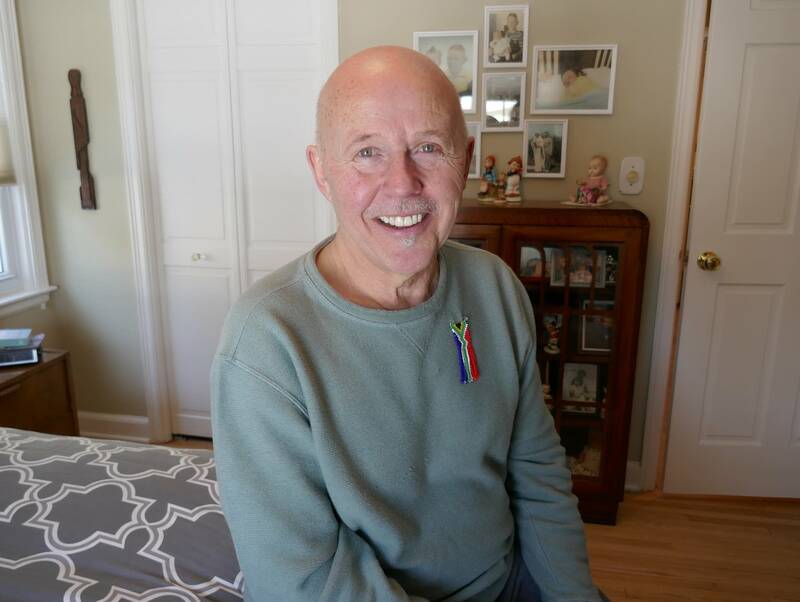 When Father Jim Cassidy set out to form a nonprofit in 2000, he planned to tackle one major issue: the AIDS epidemic in South Africa. "(I recognized) within a day or so of getting there that there was no way you could isolate HIV from all other health concerns, no more than you could separate health care from food distribution or for housing and so many things," the Twin Cities minister recalled. So Cassidy and his organization — Arm in Arm in Africa (AIAIA) — evolved, going on to focus mostly on food distribution, health and education. 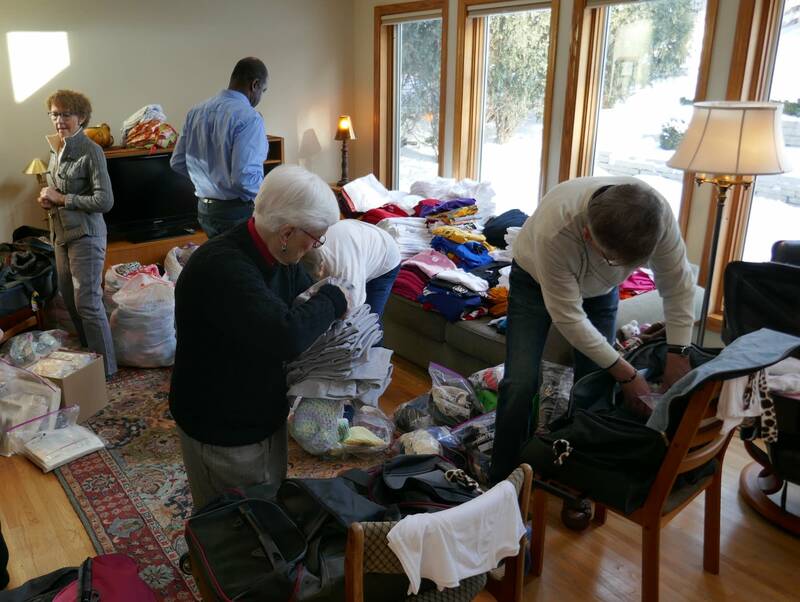 Nearly two decades in, he continues to lead groups of Minnesotans as they bring supplies to South Africa. 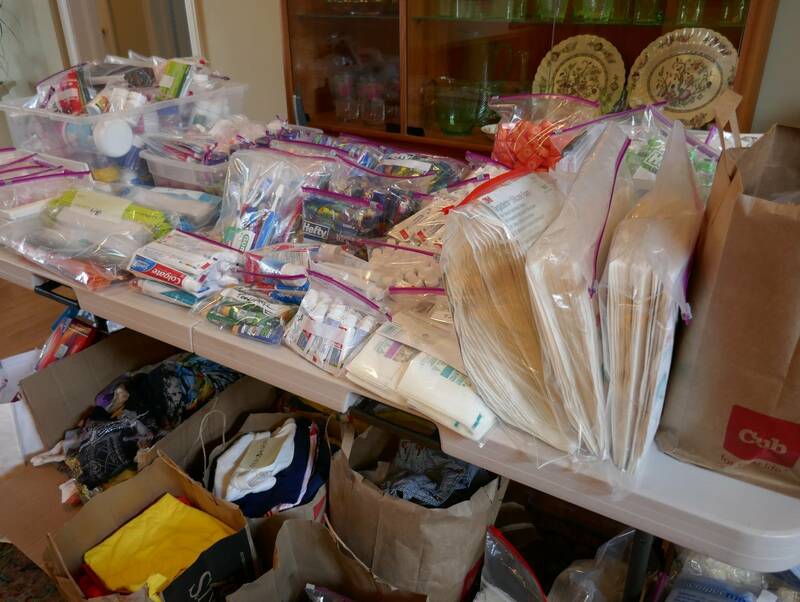 According to the group's website, AIAIA brought 800 pounds of medical supplies to the Cape Town area in 2018, along with 450 food parcels last year alone. On Saturday, Cassidy and his latest group of delegates spent a few hours packaging clothing, toiletries, medicine and other supplies for their upcoming trip; they leave later this month. The group members were trying to coordinate how hundreds of pounds of donations could be strategically packed into 50-pound suitcases. Supplies were stacked up high on every available surface. Some of the group members have been on previous mission trips before, but others are new to the experience. "I always describe it to first-timers that I am going home to see family, and I am inviting you to come along to meet cousins that you have not yet met," said Cassidy, who was wearing a beaded pin of the South African flag over his heart. A child he met there once gave it to him. Cassidy said his organization visits the same townships outside Cape Town each year, which has allowed him to make dear friends over almost 20 years. "We partner," Cassidy said. "It's never been about us going over there to do this to or for the community." Videos from past trips show a warm reception for Cassidy and his crew. He said that's the result of a reciprocal trust and friendship earned over time. Cassidy said the people of the township decide among themselves who is in the greatest need of the resources from his group. The Minnesotans also visit senior homes and orphanages. Recent retiree Dell Steckler of Minneapolis is among those who are heading on their first trip with Cassidy later this month. She said the videos of children from past trips are why she felt compelled to join the group. "They were happy children and they were running and had little knitted caps on," Steckler said. "It's just really uplifting." Cassidy said the trips are filled with light and playful moments, like when the delegation puts on a "spa day" for the local women, complete with manis and pedis. "Probably one of the most exciting things for me is introducing Americans to what I find to be the innate sense of joy and hope that I find within the people of South Africa," Cassidy said. He also said he is looking forward to next year, when he plans to expand his efforts to the West African nation of Togo. Cassidy calls it another opportunity to make lasting connections.